For travelers thinking they’ll find bargains in Asia, that’s only partly true. Sure, you can find amazing noodle shops in Chiang Mai where you can order a giant bowl of noodles to fill your belly for a day for under two dollars, but what if money is no object? Out-of-this world accommodations are just around the corner, from regular double-occupancy rooms to private suites galore. 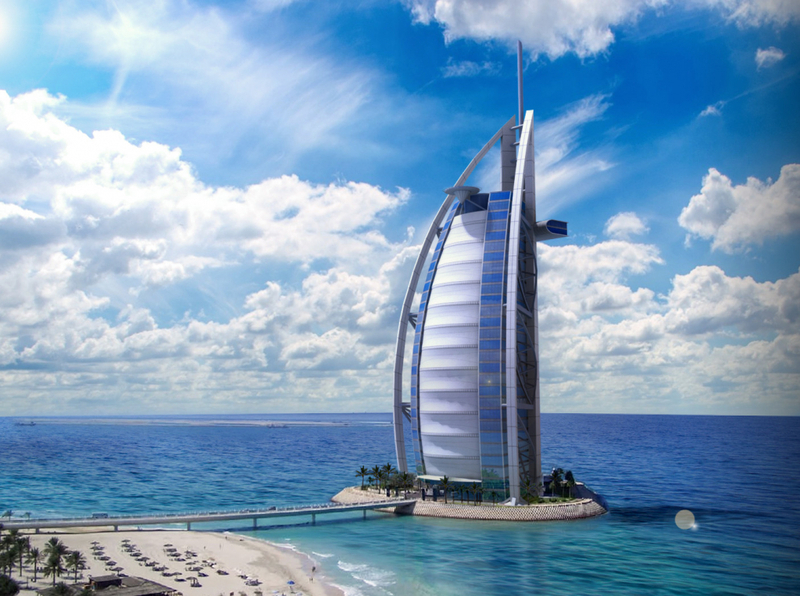 The Burj Al Arab calls itself the “world’s most luxurious hotel,” and sits on its own independent island off the coast of Dubai. The building resembles a grand ship’s sail and is the third tallest hotel in the world. The 2,600 square foot Royal Suite delivers opulent surroundings along with a private elevator and cinema, two master bedrooms, rain showers and Jacuzzis.